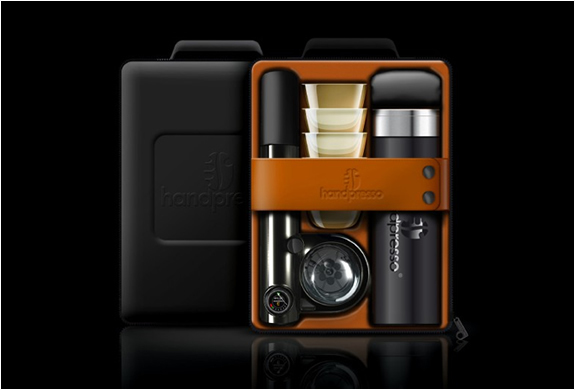 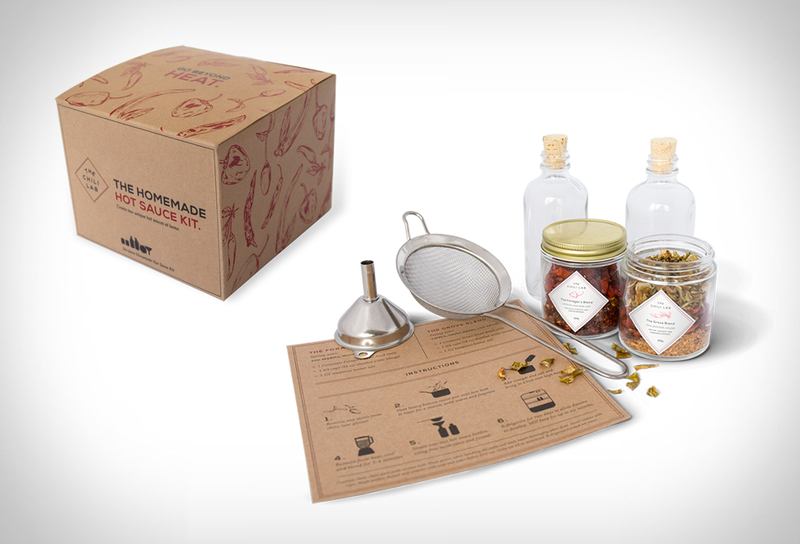 Now you can enjoy premium quality espresso with the "Handpresso outdoor set". 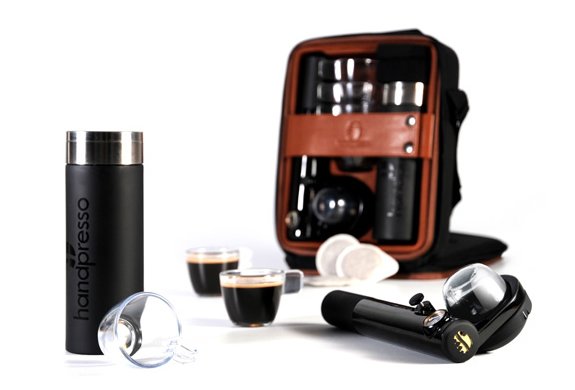 The stylish bag contains the very essence of the nomadic espresso, the small, portable and manual espresso machine called Handpresso WILD. 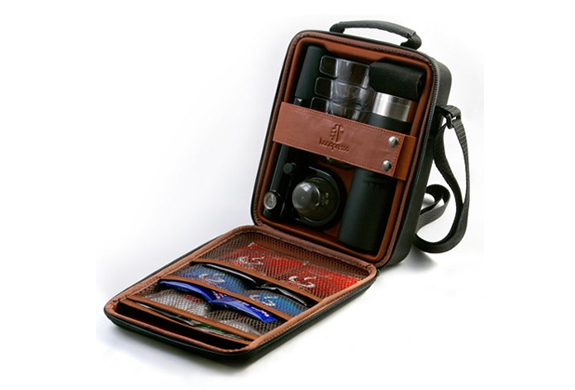 To make the coffee ceremony even more enjoyable in the most unusual places, the bag also provides very stylish accessories.